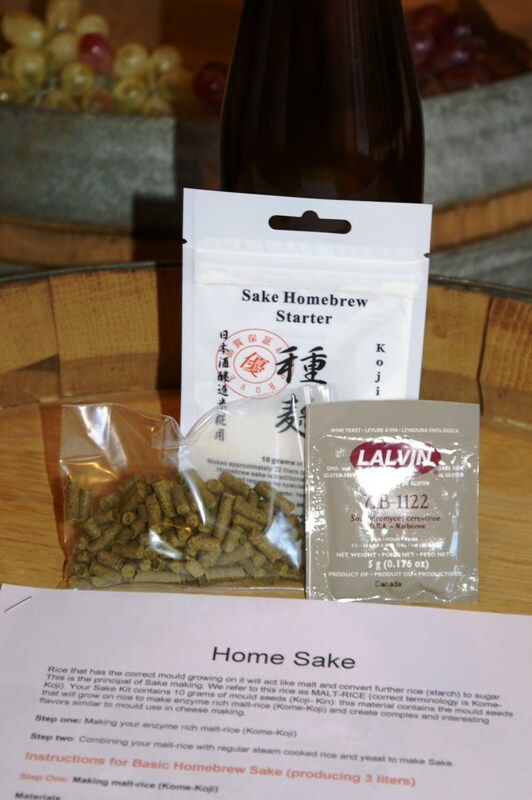 This is a kit that includes all of the ingredients to make fresh homemade Sake with ease! We have a detailed recipe booklet, fresh local hops, fresh sake starter, and the yeast needed to convert the sugars to alcohol! We also include an amber hock bottle to store your fresh brew! This is a wonderful gift and a fun project. All you need is a stainless pot, rice, and a way to steam the rice. Almost every home has these equipment components. If not, we sell everything you need in our full service store.